Start the Year with a Great Silverlight Training! 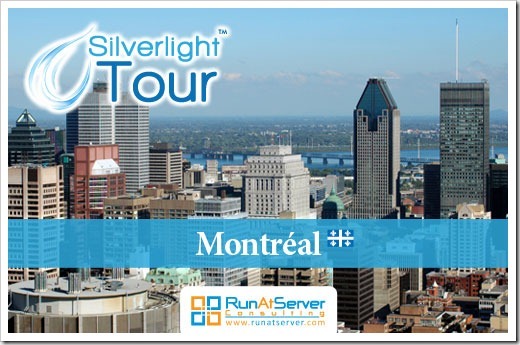 The Silverlight Tour has a new class in Montreal, and already provide Silverlight 4 content!!! With all the new additions for Silverlight 4, the course has so much content that we decided to move it to a 4-day format. More than this, we also have an excellent news: we now offer a free license of Telerik's RadControls for Silverlight to every attendee ($999 value)!! For more information on RadControls, you can visit http://www.telerik.com/products/silverlight.aspx. 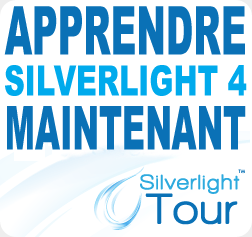 If you are looking for 4 days of intensive Silverlight training in French this is your chance to learn it from soup to nuts! While the labs will continue to be in Silverlight 3, the instructor will be using Visual Studio 2010 and Silverlight 4 to explain how the new features work and how they may impact how you architect your Silverlight solution. So the content cover all Silverlight 3 features as well as Silverlight 4!